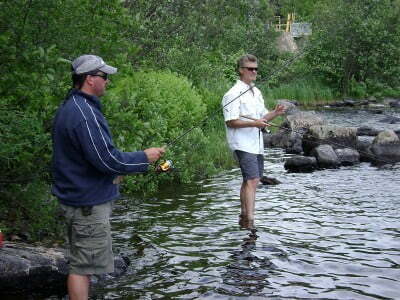 Try a special day out on Lake Biscotasi fishing with a qualfied and experienced fishing guides. A day trip is limited to 2 people and costs $100 per person. Our fishing guides follow all Ontario fishing regulations and allows no alcohol on board. Please Contact Us to book your guide. You’ll have a blast!